Move over Call of Duty and Halo, because there is a new contender in the ring. 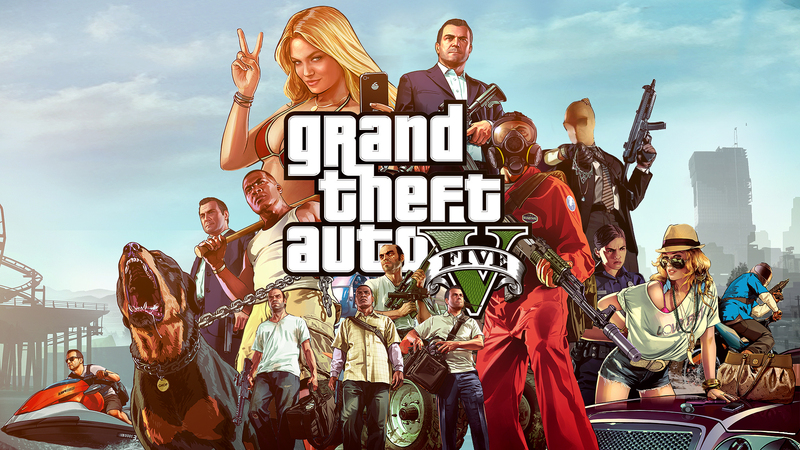 According to GTA's developer, "Take-Two", the company has sold over 800 million dollars worth of copies of the game in just the first day of it's release earlier this week, with the game expected to surpass the 1 billion dollar range by the end of the week. Not included in this count is the digital download of the game over the Playstation Network, and Xbox Live, so the chance that the game has already passed the billion mark is quite possible. To compare, Call of Duty: Black Ops 2 only made $500 million dollars on its opening day, with the game taking over 2 weeks (more specifically, 15 days) to reach the billion mark. Needless to say, such anticipation for a game has not been so high since the days of Halo 3, and Call of Duty Modern Warfare 3, but GTA has always made its mark on the public eye for better or worse. It is usually the major target for the "video games cause real-life violence", and due to the already massive success in sales for the game, it is interesting to see where things will go from here.